Project CBD: I’m Martin Lee with Project CBD, and this is another edition of Cannabis Conversations. Today, we’re very pleased to have Dr. Ethan Russo come back in the studio with us. Dr. Ethan Russo is a neurologist, a scientist, widely published author in many peer-reviewed journals and currently a director of research and development for the International Cannabis and Cannabinoids Institute, which is located in Prague, in the Czech Republic. Thanks for joining us, Ethan. Russo: It’s a pleasure to be here. Project CBD: Ethan, there’s been an explosion of interest in CBD lately. Explain what the excitement is about. What is CBD? Russo: Well, first of all, this has been long in coming. For probably 40 years now the real concentration in breeding has been toward THC, the main psychoactive ingredient of cannabis. Unfortunately, a lot of that is a by-production of prohibition. The market was driven by people in the recreational sphere that were looking for escape or sometimes medical use. In the process, a lot of the benefit of cannabis was lost genetically because customarily, in many parts of the world where cannabis was grown, it was typically a plant that had equal amounts of tetrahydrocannabinol – the main psychoactive ingredient in cannabis – and cannabidiol. So what is cannabidiol? Cannabidiol is frequently mischaracterized as being non-psychoactive. Rather, it is psychoactive. It is an anti-anxiety agent, and anti-psychotic agent. But it also complements a great number of the effects of THC, in that both are analgesics, painkillers, both are anti-inflammatory, and because cannabidiol has this ability to counteract some of the prominent side effects of THC it’s a very valuable thing to have in any cannabis preparation – whether it’s predominant or in conjunction with THC. It is a very versatile compound. It has a lot of effects. But unlike most drugs that have multiple effects, in this instance it’s very hard to pick out any particular side effect of CBD that’s problematic. The only thing that we can really point to is that in extreme doses, when it’s used in isolation, it can produce some drug-drug interactions such as producing sedation with drugs like Clobazam that are used to treat severe seizure disorders. But, on its own, it does not produce anxiety – rather treats it. It’s really hard to come up with a significant side effect that we need to warn people about. Of course, it depends on the preparation, and other ingredients may be prone to side effects, so we have to be careful in that regard. Project CBD: You refer to both THC (the high causer, so to speak) and CBD in the same breath. That suggests that they work together in some way. There’s this phrase, “the entourage effect” or “ensemble effect,” explain what that is in terms of the cannabis plant. Russo: So, cannabis is a botanical. This is a way of saying that it’s a plant-based medicine. And, although the thrust of pharmaceutical development for decades has been on single molecules, often synthetic, this is the more common concept in medicine historically. What I mean is, traditionally people have used plant drugs to treat their problems. It’s only been in the last 75 years there’s been this shift toward synthetics. So, a botanical doesn’t rely on one compound to produce the beneficial effects. Rather there may be many – and that’s certainly the case in cannabis where we know that there are actually over 100 related molecules, we call cannabinoids, but in addition there are aromatic compounds, the same things that you’d find in lemon and pine needles called terpenoids that alter the effects of the cannabinoids in a way that often is synergistic. Synergy is a boosting of effect. So, it would be the idea that 2 + 2, instead to equaling 4, it gives you an 8 in terms of the benefit. So, for example, as we’ve mentioned, cannabidiol treats pain. But there are other ingredients in cannabis that also treat pain or may limit the side effects of other components and so it is sort of like an ensemble of musical instruments where you might think if THC as the soloist with an important part provided by cannabidiol, but you also have these other components producing a harmony that really increases the overall effect and makes hopefully the best possible medicine. Project CBD: And you referred to pain: we are in the midst of a painkiller epidemic really. It’s well known now we have many overdoses due to addiction to opioids. Maybe you could talk a little bit about that in terms of what cannabis might bring to the table in terms of addressing this crisis. Russo: This is an absolute medical crisis in that 72,000 Americans died of opioid-related overdoses in 2017. We have known – and this may come as a surprise to almost everyone – it’s been known for 150 years that cannabis is capable of acting in concert with opioids to treat pain and allowing what’s called “opioid sparing.” This means a lower dose producing the same or better level of pain control. Additionally, it was observed in the 19th century that cannabis could treat withdrawal symptoms from opioids and other addictive drugs, reduce craving, and allow people to get off of them entirely. The same thing has been observed for decades in people who have used cannabis medicinally. But, again, until recently that was primarily with THC predominant cannabis, which did work in this regard. But the real missing ingredient until say the last decade has been cannabidiol. Because cannabidiol on its own acts as an anti-addictive substance. It actually works on an area of the brain called the insula that reduces craving. Particularly in combination with THC, we’ve seen a really amazing response in patients to reduce their opioid doses and often get off of opioids that they may have used chronically. Additionally, there’s another component in cannabis, a terpenoid called caryophyllene, that also is anti-addictive through a totally different mechanism than CBD. It’s working on another receptor called the CB2 receptor that’s involved in addiction. So, a preparation that had THC, CBD, and caryophyllene may be an ideal way of dealing with chronic pain and particularly people who are addicted to opioids. Project CBD: You mentioned CB2 receptor – you’re referring to a cannabinoid receptor which is part of something we refer to as the endocannabinoid system. Could you basically define that or describe what that is, and why it’s important. Russo: So, we have this thing in our bodies and all mammals and a lot of lower animals, anything that has a spinal cord basically, has an endocannabinoid system. This came about through research on cannabis and specifically THC. So in 1998 it was discovered that there were endogenous cannabinoids; the first one was called anandamide (“Ananda” in Sanskrit means bliss), then a couple of years later it was observed that there was a cannabinoid receptor that was named CB1 (cannabinoid 1). Very shortly thereafter, a second receptor – a non-psychoactive receptor – called CB2 was discovered that is involved in inflammatory responses, pain control, and limiting fibrosis (the buildup of scar tissue in the body). So, THC works on CB1 and CB2. Caryophyllene works just on CB2 with no effect on CB1. Certainly, with adequate amounts of it, it has this ability to treat pain, inflammation, and addiction, without producing any unwanted psychoactive side effects. And when I say that, I mean anxiety, paranoia, the things that we associate with a situation where someone has too much THC. Project CBD: What about CBD? Does it also bind or activate these receptors that you refer to? Or how does it work? Russo: Well that’s really interesting – a little complicated. CBD does not bind directly to the regular sites on either CB1 or CB2. On CB1 it does bind to another site called the allosteric site (“allo” means other). When it does bind to these allosteric receptors it produces what’s called a negative modulation. Functionally what this means is when CBD is present it’s a little harder for THC to bind to the CB1 receptor. Now that really would make it sound like it’s going to interfere with the benefits of THC on pain and other conditions, but that’s not what we see. What we see, though, when CBD is combined with THC is a blunting of the peak high. If someone smoked material with both THC and CBD, they’re not going to get quite as high if they would with THC alone. But, much more importantly, the effect is prolonged. In medical settings, this is very important because it allows people to, say, dose with an oral preparation, perhaps two or three times a day, as opposed to smoking medicine where they might have to utilize it every two to three hours because of a higher peak and – peaks and valleys of activity – rather than a smoother contour of effect, which is much preferable in a medical setting. Project CBD: I have lots of questions I’d love to ask, but I think we have time for one more. I believe in the Ayurvedic Indian medical tradition, and traditional Chinese medicine, there’s an emphasis on the gut. The idea that health is rooted in the gut. And we hear a lot these days, the buzzword about the microbiome, the bacteria beneficial or otherwise, in the gut and the role that that plays in terms of health. Does the endocannabinoid system play into this at all? And if so, how? Russo: Well, yes it does in a very important way. There’s been some very interesting work done recently that shows that the microbiome, which is a collection of natural bacterium in the gut, has a great deal to do with our health overall. Whether someone has problems with inflammation or not, it provides neurotransmitters that go to the brain, effects our moods in a very key way, it’s very involved in autoimmune diseases. 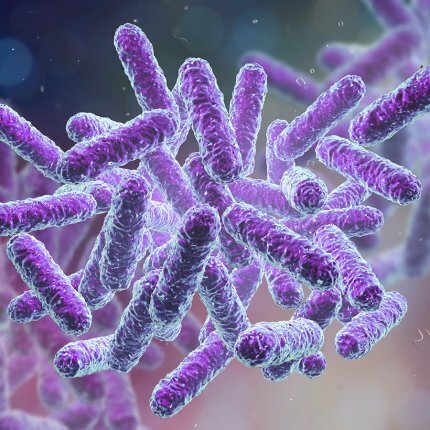 What it was found is that THC actually stimulates production of some of the more beneficial bacterium and suppresses the disease-causing bacteria like clostridia that produces severe diarrhea syndrome. Project CBD: That’s THC in particular does that. Project CBD: And CBD? Do they know how it plays into it? Russo: We’ve got a little less knowledge. And yet, however, there seems to be a key role for the microbiome, or gut bacteria, in endocannabinoid tone. Endocannabinoid tone is a function of how many receptors, say CB1 receptors, are active in the brain. The amount of the endocannabinoids like anandamide and 2-Arachidonoylglycerol, and also the function of the enzymes that make these substances and break them down. So, it’s a very important concept. We can define it – right now we don’t have good methods of measuring it. We can do serum levels of endocannabinoids in the blood, but it might not reflect what’s going on in the brain. And today, I’m afraid we don’t have a scan of the brain yet to show the activity of the receptors. But these are research projects that hopefully are going to give us better diagnostics in the future. Project CBD: The implication is that – and maybe it’s too obvious we don’t have to say it – but our diet is key to our health, and that the endocannabinoid system mediates that whether for good or ill in some way. Russo: That’s absolutely right. And this is one of the reasons you see a lot of emphasis now, people may see ads on TV for what are called probiotics. This is a way of taking a supplement by mouth that’s going to provide, hopefully, more of these beneficial bacteria. But those beneficial bacteria need something to eat, and it isn’t always what we have in the American diet. The American diet, I’m afraid, with a lot of fried food and carbohydrates upsets the balance of the bacteria in the gut and favors the production of inflammation. If, however, people are eating certain foods called prebiotics, they tend to be non-digestible fibers. This is what the beneficial bacteria really like. And when they’re functioning well, we have good evidence now, it’s going to increase the endocannabinoid tone and really contribute to overall health. Project CBD: I think that’s good food for thought. I want to thank you Dr. Russo, you’ve been a great educator for our community and when we appreciate it very much. It’s been another edition of Cannabis Conversations, hopefully we’ll do more with you in the future. Dr. Ethan Russo can be contacted at www.icci.science.